We want our technology to provide us with answers. No matter what we’re using or how we’re using it, we demand that our phones, tablets, and computers not only enrich our lives, but change them for the better. Whenever a new piece of technology makes its appearance, we instinctively ask the same set of questions before we even try it: Why should I be using it? What makes it better? Why do I need it? What am I missing? 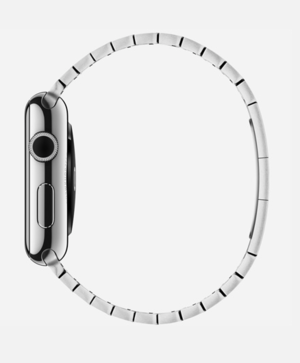 So it is with Apple Watch. Ever since we laid eyes on it back in September we’ve been trying to brand it with an identity, forcing a label on it to justify its existence. It’s a fitness tracker. It’s a fashionable timepiece. It’s an iPhone shortcut. Now that we’re finally able to touch and try the Apple Watch, we all have expectations of how it is or isn’t going to fit into our lives. And there’s a good chance they’re completely wrong. iPhone challenged everything we expected about our gadgets. No longer was it enough for a product to do one thing really well and maybe offer a few bonus features (like the iPod’s seldom-used calendar). 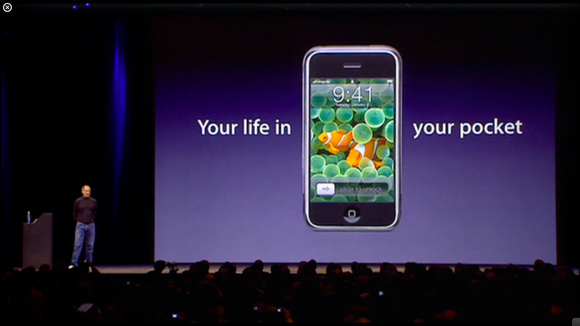 The iPhone didn’t just excel at the three things Steve highlighted—it did a dozen little things that gradually reduced our dependency on day planners, cameras, and even the iPod itself. Today’s iPod lineup isn’t nearly as popular as it once was, not because it’s a bad product but because it doesn’t do enough. The idea of a standalone music player—or any single-function device for that matter—is more for niche players than the mass markets these days, like Neil Young’s Pono or Sony’s high-res Walkman. The success or failure of any product is inexorably tied to its usefulness, but with technology it’s not enough to just be useful anymore. We expect an iPhone level of expertise in everything we use; our products need to at once be practical and pretty, but we also want them to solve problems. Many members of the media couldn’t see the iPad’s purpose. In the three-month period between its introduction and release, there was a lot of digital ink spilled over how the iPad would be a flop of such proportions not even Steve’s Reality Distortion Field could save it. It was branded as restricted by some, ridiculous by others, and few people saw much in the way of real value. But it was wrong to judge the iPad as an oversized iPhone. 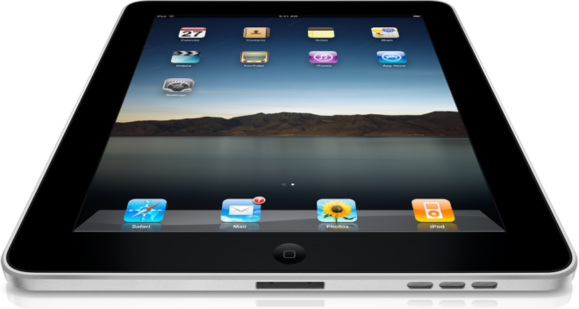 As we got to know Apple’s tablet it began to fill the space between our iPhones and laptops. We used it to read in bed, to watch movies on the train, or draw while at the beach. It did things we couldn’t possible do on our iPhone and let us leave our bulky laptops on our desks. In short, it solved problems we didn’t realize we had, at home and even at work. And now we can’t live without it. That’s the difference between good products and great ones—not what they do but what they have the potential to do. When Apple released the iPod it was famously criticized, but before long it had transformed the way we listen to music, all but eliminating physical media and paving the way for a virtually unlimited online storage locker that lets us carry tens of thousands of songs with us wherever we go. The people who just saw a $400 music player didn’t get all of that. And now with Apple Watch, history seems to be repeating itself. 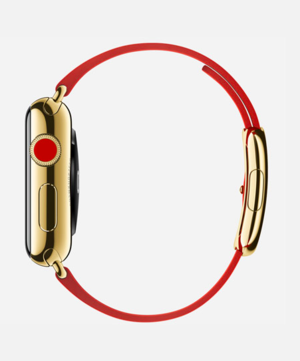 Even if you take away the criticism of the exorbitant Edition, plenty of critics fail to see Apple Watch’s purpose. But just like the iPod or iPad, they’re missing the potential. When I strap an Apple Watch on my wrist, it’s not going to magically solve anything, but like the iPhone and iPad before it, there’s no telling how it’ll change my life once it starts to seriously work itself into my routine. You might not think reaching for your iPhone a couple dozen times a day is a problem that needs solving, but before the iPod, we didn’t have an issue with carrying binders full of CDs, either. We were content to fill our pockets and bags with cameras, flashlights, notebooks, and all sorts of cumbersome gear before the iPhone came along. And before the iPad, dragging our MacBooks from room to room just to surf the web was considered the pinnacle of convenience. These things might not have been problems at the time, but Apple handed us solutions anyway. And now we can’t live any other way. 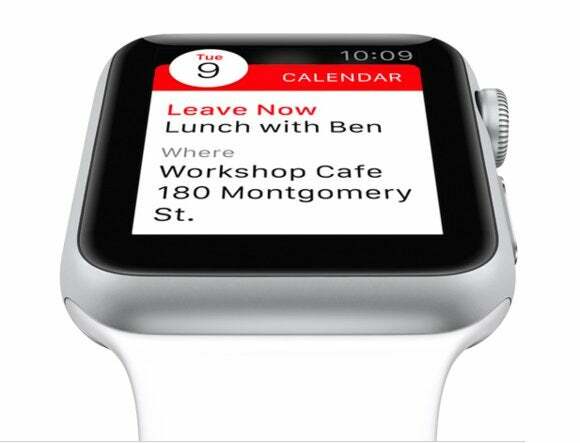 Apple Watch’s unique system of glances and notifications has the potential to do the same; based on what Apple has chosen to highlight in the introductory videos released late last week, its “most personal device” is designed to be used for seconds, not minutes, at a time. The best apps will relay important bits of information without us even needing to touch our wrists. As Apple Watch evolves and becomes more independent of the iPhone, there’s no telling how many problems it will solve. The first round of apps will certainly seem clever and useful to all of us early adopters, but within a year or two there will no doubt be a whole new class of tools and utilities that expand Apple Watch’s capabilities by leaps and bounds, making our lives easier in ways we can’t possibly imagine. And just like all those blank CD-RWs that I still don’t know what to do with, Apple Watch will surely create a problem or two in the process. Like what am I going to do with my hands now they’re not holding an iPhone for 12 hours?